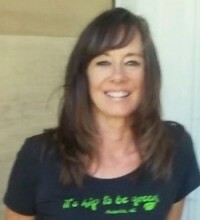 It’s Hip To Be Green® began in 2005 with Lisa Hawkins brainstorming and jotting down terms to go with her vision of helping the world become greener. Her vision of showing the world in a postive way how to get people more excited about becoming “Green”. Creating a trend that would become common worldwide. Excitment about Being Green! Since that time our vision has continued, in the midst of all the depressing news about global warming, we want to not ignore that aspect of the world, but want to also reflect on the positives that are being created to solve the problems and to make life on this planet, healthier, cleaner. Our mission is strong, and the road long, and we are still working to make a difference. Where profit fuels many in the Green market, we are fueled by proactive efforts, change and compassion.